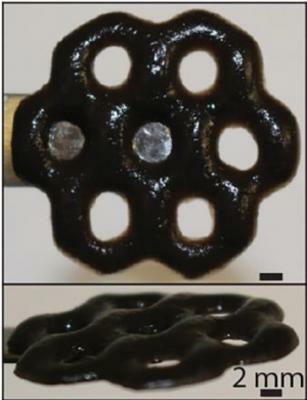 In May 2015, researchers at Northwestern University designed a method to print 3D structures using graphene nanoflakes, by developing a graphene-based ink that can be used to print large, robust 3D structures. 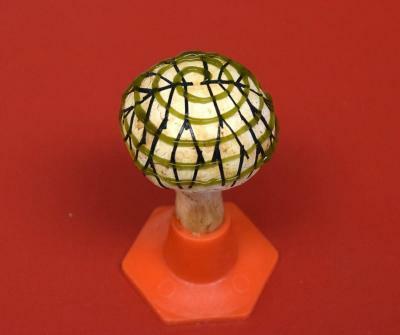 This fast and efficient method may open up new opportunities for using graphene printed scaffolds and various other electronic or medical applications. Also in May 2015, researchers at Michigan Technological University progressed in their work to 3D print replacement nerves using 3D bioprinting techniques. The team has developed polymer materials that can act as a scaffold for growing tissues and is working on integrating graphene as the electrical conductor. In March 2015, U.S-based Local Motors declared plans to 3D print vehicles within 12 hours, reinforcing extruded printed material with graphene. The company reported significant progress in its additive manufacturing technology since it unveiled its Strati vehicle. The company was looking to reduce the print time to 12 hours, with a four to five-hour assembly time, and had been speaking to a Korean firm about sourcing graphene for extruding in composite 3D printing materials. In July 2014, US-based Graphene Technologies announced a partnership with Stratasys to co-develop graphene-enhanced 3D printing materials. 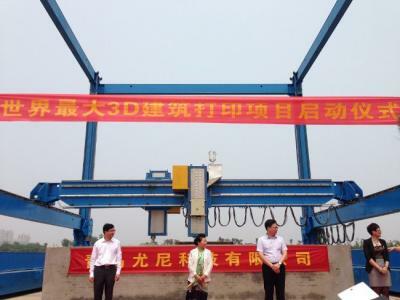 A 12X12 meter 3D graphene-fiberglass printer was unveiled by Qingdao Unique Products Develop during a trade show in China. It is meant to print building in the future, according to the company, using a fiberglass-graphene composite that will allow the creation of very strong objects. Grafoid, a Canadian based company, signed an agreement with Altamat to construct an atomization facility to produce MesoGraf graphene-based powders and filaments for 3D printing for use in a wide range of functionalized powders for 3D printing applications. Grafoid hopes to supply a wide range of Mesograf-based powders and filaments that will allow manufacturing companies in every industry to utilize additive manufacturing processes to produce their end products on demand, not solely for prototyping purposes. Australian company 3D Graphtech Industries, established by CSIRO organization to investigate research opportunities in 3D printing using graphite and graphene inks, will jointly perform a white-paper study to identify technological problems in the 3D printing market that can be solved in an R&D program to provide a commercial solution. US based AGT launched a similar research project in collaboration with Ukraine's Kharkiv Institute of Physics and Technology ("KIPT").